Handcrafted by Amish artisans from solid American hardwood, the Bossier Round Dining Table is a darling round piece posed perfectly on a single pedestal. Available in both solid and expandable top, the Bossier Round Dining Table is inspired by artistic expression. Choose your hardwood from the options menu and our craftsmen will hand select pristine pieces to create your one inch thick table top. 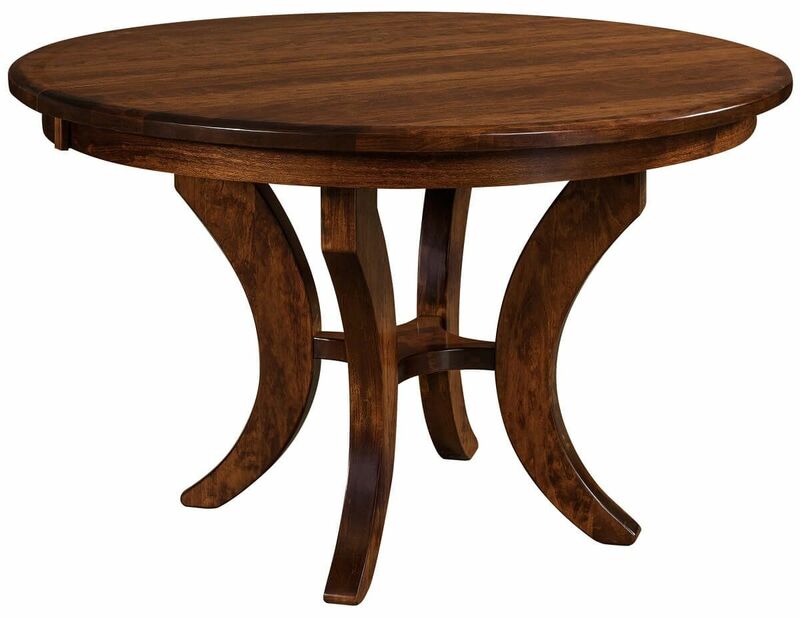 To purchase as shown, order the Bossier Round Dining Table in Cherry with a Devonshire finish. Choose from three sizes and add leaves as necessary. Leaves are added on geared slides which offer durability and effortless expansion. Each foot on the pedestal includes a leveler so that your Bossier Round Dining Table remains flat and stable. Countryside takes pride in our solid wood construction and attention to detail. All materials used in our Amish built tables are free of plywood, pressed wood, fillers, and veneers. Our builders use only premium American hardwood in the Bossier Round Dining Table and all other companion pieces. ***Overall table height is 30 1/4".